Many years ago, I was consulted by an oil and gas American distribution company trying to participate for the first time in a Latin American Request For Proposal (RFP) to lease a portion of their oil pipeline system. After we read –and I translated– the 200+page document, there were still major questions the company’s high executives had regarding the proposal. What was missing and why? As many other challenges in global expansion, these documents were written with the local environment in mind, for the inner circle of potential bidders, and with the “fill in the blanks” style that only those close to the industry in that particular country would be familiar with. Pay a lot of attention to your new organizational chart according to how your industry and type of activity behaves in the target country –not in the country of origin. While in America we are used to handle sales and distribution activity with heavy support of technology, many countries still depend on human capital for these functions. This human capital might imply using and hiring local people who speak the language and understand the cultural nuances of their end-customers but also need to cover long distances with unreliable transportation over obsolete infrastructure. Even some regions in Europe are not that advanced in the use of technology. New organizational charts vary if your company moves a wide variety of products or a single massive one, and if you can centralize distribution or you need to diversify your distribution channels. You can outsource these functions to a third-party group with experience in your products at the local level but be aware that you need close management and oversight of their activity. The use of Internet technology might work to communicate with channel partners but you need to develop appropriate language content for your website, and make it user-friendly in foreign languages. If necessary or possible, allow the use of the site to distribute products and service information directly to end-customers but previously research the country’s infrastructure and population Internet usage rates to avoid unnecessary and costly projects. All your sales and marketing data need to be integrated in a secure communications network that allows you to maintain control over operations in each local market. Hacking and data theft are at high rates in countries with less development in encryption technologies. Local marketing firms can solidly help you develop a culturally appropriate message for your product or service to avoid the blunders of inexperienced marketers. Overall, find local resources and form strategic partnerships accordingly. Training your liaison executives into the culturally appropriate way of conducting business is only a small investment that will pay off a long way and achieve the necessary skills to blend in and engage the local markets. Even if you are launching your business back into your country of origin or your country of ancestry, remember that ways of doing business change constantly, especially in volatile emerging markets. Maybe you have been in the US for a long time and are unfamiliar with those changes. Doing your market research as you would do it in the US is the only way to ensure success in your global growth expansion. Exporting is good for American business, good for American workers and good for American jobs. Ninety-five percent (95%) of the world’s customers lie outside the United States and Minority Business Development Agency is committed to working with U.S. companies to help American-made goods and services succeed in the global market. Minority businesses have a competitive advantage in global trade based on their cultural ties, language skills and nimbleness. Today, the importance of minority-owned businesses as a key component of U.S. international trade has never been greater. Learn More. U.S. exports of goods and services totaled $2.2 trillion in 2012. Exports are a growing and substantial part of the U.S. economy, accounting for 13.9 percent of our nation’s GDP. In 2012, 9.8 million U.S. jobs were supported by U.S. manufactured exports. 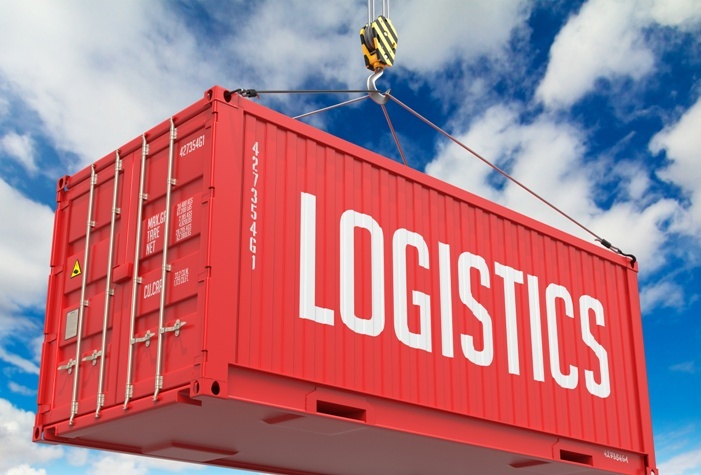 According to a study published by the Institute for International Economics, U.S. companies that export not only grow faster, but are nearly 8.5 percent less likely to go out of business than non-exporting companies. Minority businesses have a competitive advantage in global trade based on their cultural ties, language skills and nimbleness. The 2007 Survey of Business Owners reveals that among firms with export sales representing 20 percent or more of their overall receipts, minority-owned businesses are twice as likely to export compared to non-minority firms. In addition, minority firms are more than three times as likely to have businesses generating 100 percent of all their sales in exports compared to non-minority respondent firms. This finding is quite substantial because it can support the Administration’s goal of doubling the nation’s exports by the end of 2014. Minority businesses can play an important role in meeting that goal through exports. The Minority Business Development Agency is committed to working with U.S. companies to help American-made goods and services succeed in the global market. 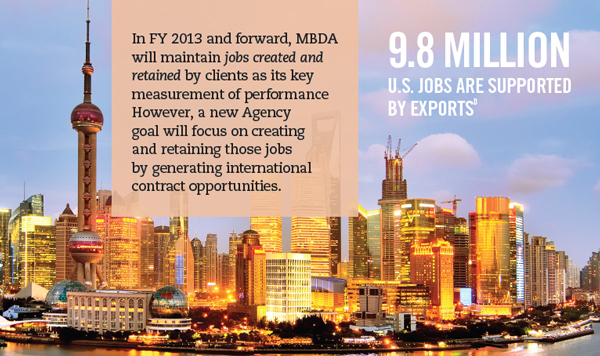 Interested in Global Business News, view MBDA’s Global Highlights and grow your business through exports.